Frolic with fun fabric and lively color with Jamboree by ©Christine Graf for QT. 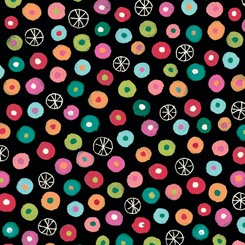 These whimsical prints bring cheer and pop to any project. Kitchen décor, apparel, merry quilts and happy crafts await!